Chile’s Atacama Desert is home to salt flats, snowy peaks, unique desert culture, hot springs, and even a few luxury resorts, but if you didn’t stay at this particular luxury resort during your last visit here, you didn’t do it right. This week we’d like to feature one of our favorite hotel properties in the world, Awasi. Hidden away in one of the most secluded corners on the planet, you wouldn’t expect to find world-class gourmet food, perfectly personalized service, and jaw dropping accommodations, but lo and behold, it’s all there. 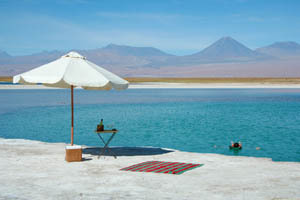 We won’t act like the main attraction to Awasi isn’t the Atacama Desert itself, because it is. One cannot deny the awesomeness of the mountains surrounding it, nor the vastness of the empty, arid desert. This geological nook is home to much of Chile’s ancestral heritage, thanks to the water springs that dot the landscape, and any trip to South America should include this place whether you are backpacking or going Awasi-style tours in Chile South America. Like any other desert, temperatures here fluctuate between night and day, but daytime temperatures are nearly always perfect (72°-82° year round). Named a desert thanks to its low rainfall, water still makes an impactful presence here, as thermal pools, geysers and marshes burst their way through the dry ground, giving life to Atacama’s strangely varied flora and fauna. But let’s talk about Awasi. 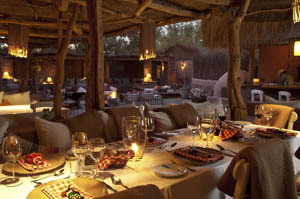 The property features just eight suites, and at least just as many private guides and 4WD vehicles. If you do the math, that comes out to every suite having its own friendly, knowledgeable and private guide during their time in Atacama. You will arrive to an a la carte menu of excursions, hikes and tours that you can choose from during your stay here, including spa treatments and romantic, secluded dinners under the stars. That means if you wake up one morning and decide you want to summit a nearby mountain, your guide will be more than happy to show you up and have you back by lunch. Want to walk through a local town and shop through its wares the same afternoon? Your guide will show you the best places to look. Nowhere else in South America quite does what Awasi does in this respect. Awasi’s internationally recognized cuisine is a unique fusion of international dishes with Chilean Altiplano flavors and ingredients. Locally grown ingredients are the name of the game, and Awasi’s chef prepares a daily suggested menu that can be tailored to guests’ individual tastes and dietary requirements. The local materials don’t stop in the kitchen however, Awasi itself was built from materials all found in the Atacama desert, in full traditional style. 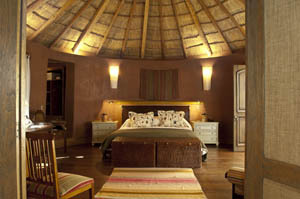 Both the rooms and the main buildings are made of adobe bricks, stones, local woods and thatched roofs. Even we don’t know how they manage to bring these materials together to create an uber-luxurious space, but they do! 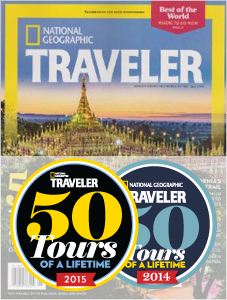 A stay here can be the perfect exclamation point for custom Chile tours. It takes a unique property to be featured by us. But when a hotel is locally built and managed, offers the world’s most complete and privately luxurious excursion package, internationally recognized gourmet cuisine and when all that takes the back seat to its beautiful environment? That is when we absolutely must name it one of our favorite Basecamps in the world.